Gmo Poisoning of US with Salmon @ Doowans Awareness.. Genetically modified foods (GM foods, or biotech foods) are foods derived from genetically modified organisms (GMOs), such as genetically modified crops or genetically modified Salmon. Some farmed Salmon are included. GMOs have had specific changes introduced into their DNA by genetic engineering techniques. They are using Bacillus thuringiensis , Viral Agents and Gene Splicing in these techniques saying they are much more precise than mutagenesis (mutation breeding) where an organism is exposed to radiation or chemicals to create a non-specific but stable change. Other techniques by which humans modify food organisms include selective breeding; plant breeding, and animal breeding, and somaclonal variation. 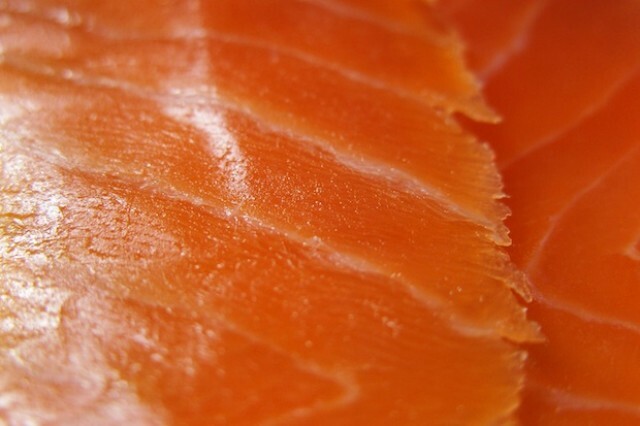 Transgenic salmon are not the first animal product derived from genetic engineering. That would be the transgenic mouse, an animal developed for biomedical research and now widely utilized in many different custom formulations. It is not even the first fish. That would have been the “Glowfish,” a zebrafish transformed to fluoresce under ultra-violet light. Do we really need a fish that glows in the dark under a black light? Cool at parties, come on. 18 month old Salmon The bigger fish is Gmo. One might think this good. But Read on! The fish, which is branded AquAdvantage, has been altered with a growth-hormone gene from a Chinook salmon and a gene from a deepwater eel-like fish called an ocean pout. The latter allows the fish to grow during the cold months and reach market size twice as fast as other salmon. Can altering a species with another species make a better species? Mother Nature usually does a good job on her own. As it stands, mankind sure has a real good understanding of nature, wouldn’t you agree, just look how well we’ve done so far. If a human grew twice as fast would there be any medical ramification to that human? My fishing whole. 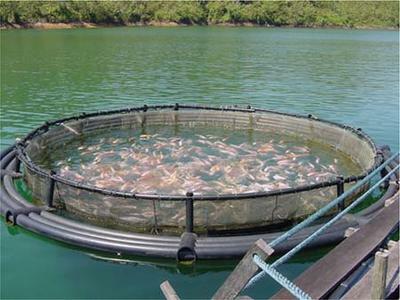 This is how they are raising the GMO Salmon. Looks like how they raise Chickens confined space and over populated. Salmon Farm sounds nice doesn’t? Just look at those wide open spaces. Scientists first discovered that DNA can transfer between organisms in 1946. The first genetically modified plant was produced in 1983, using an antibiotic-resistant tobacco plant. 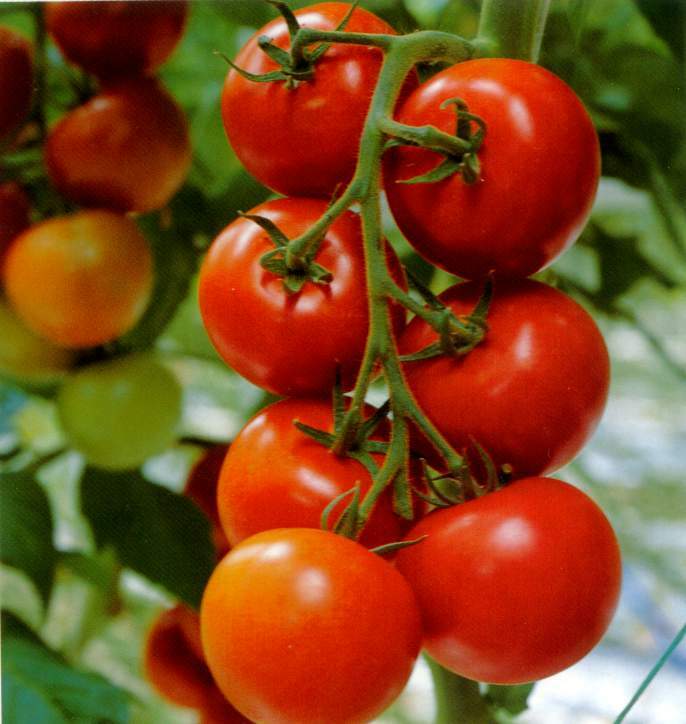 In 1994, the transgenic Flavr Savr tomato was approved by the FDA for marketing in the US – the modification allowed the tomato to delay ripening after picking. No wonder they taste like cardboard. Please, don’t start smoking your tomatoes. Tomatoes spliced with Tobacco Genes. What will they think of next? Genetically engineered plants and animals are generated in a laboratory by altering their genetic makeup and are tested in the laboratory for desired qualities. I wonder if they test for undesired qualities. This is usually done by adding one or more genes to a plant’s genome using genetic engineering techniques. Most genetically modified plants are generated by the biolistic method (Gene gun) or by Agrobacterium tumefaciens mediated transformation. Once satisfactory plants are produced, sufficient seeds are gathered, and the companies producing the seed need to apply for regulatory approval to field-test the seeds. If these field tests are successful, the company must seek regulatory approval for the crop to be marketed. Once that FDA approval is obtained, the seeds are mass produced, and sold to farmers. 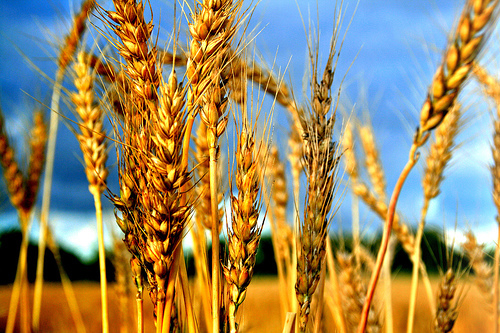 The farmers produce genetically modified crops, which also contain the inserted gene and its protein product. The farmers then sell their crops as commodities into the food supply market, in countries where such sales are permitted. Commercial sale of genetically modified foods began in 1994, when Calgene first marketed its Flavr Savr delayed ripening tomato. Typically, genetically modified foods are transgenic plant products: soybean, corn, canola, rice, and cotton seed oil. These may have been engineered for faster growth, resistance to pathogens, production of extra nutrients, or any other beneficial purpose. GM livestock have also been experimentally developed, although as of July 2010 none are currently on the market. They are attempting to modify dairy cow milk to produce milk for lactose intolerant people. Why so they don’t fart? Last year it also emerged that scientists from China had successfully introduced human genes into 200 dairy cows to produce milk with similar properties to human breast milk. Here is a list of the most common genetically engineered plants and animals for 2012. And the list just keeps getting bigger. What next? 70% of all processed foods contain some GMO component to them. When them Cotton Balls get Rot, You can’t pick very much Cotton in them old Cotton Fields back home. 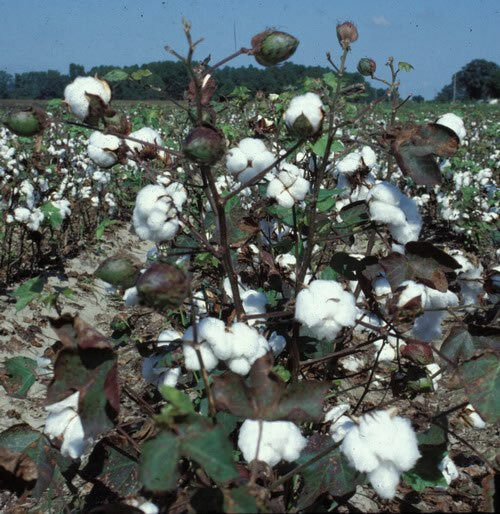 In India the Cotton Farmers are breaking out with Skin rashes and diseases after hand picking their Cotton Crops. Lucky we use Machines in the U.S.
Never really cared for Soy, but a lot of people do. Hard to find an Heirloom Variety of Soy Seed if not impossible. Bacillus thuringiensis appears to be the most widely use genetic engineering agent use to alter the plants. 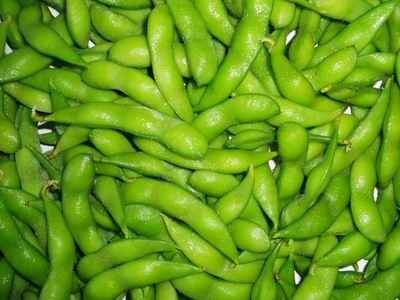 Knows as BT it’s used to kill a susceptible insect, a part of the plant that contains the Bt protein (not all parts of the plant necessarily contain the protein in equal concentrations) must be ingested. Within minutes, the protein binds to the gut wall and the insect stops feeding. Within hours, the gut wall breaks down and normal gut bacteria invade the body cavity. The insect dies of septicaemia as bacteria multiply in the blood. Even among Lepidoptera larvae, species differ in sensitivity to the Bt protein. What type of bacteria is Bt? Bt belongs to the family of bacteria, Bacillus cerus (B. cerus). B. cerus strains produce toxins that cause gastroenteritis (food poisoning) in humans. Bt is differentiated from B. cerus because it contains a plasmid (flash animation) that produces the protein crystals that are toxic to insects. Bt does not cause food poisoning. But it might cause your gut lining to break down causing a bacterial infection and maybe linked to Cohn’s Disease. Come to think about it, there is an epidemic of Irritable Bowel Syndrome (IBS) in the U.S.A. which I have suffered with for decades. This year, I stopped using wheat in my diet as much as possible and eating only fresh organic home grown Heirloom Vegetables and my IBS has diminished greatly. Of course there might be other factors that may contribute to to this, but so what. I am feeling better and that’s what matters. So, I don’t eat GMO foods whenever possible but that’s getting harder and harder to do. Bt is largely used in agriculture, especially organic farming. Bt is also used in urban aerial spraying programs, and in transgenic crops. To understanding the benefits and risks associated with using Bt proteins in farming and using Bt genes in GMO crops to manufacture the natural insecticide. This natural insecticide is produced by the bacterium Bacillus thuringiensis (called “Bt”) that has been used for decades by organic farmers to control crop-eating insects and by the World Health Organization to kill mosquitoes without using dangerous chemical pesticides. Can any insecticide be good for human consumption, natural or otherwise? You must decide this for yourself. Plus, the use of insecticides has increased since these GMO crops were introduced. Please don’t take my word on this. Read what the Huffington Post wrote this month on this topic. I thought this is why they modified the crops to been with. Hummm, maybe it doesn’t work after all. Please help us stop this madness in California. Study and vote on proposition 37. We can start with at least labeling the foods we eat that contain a GMO component. I added some links, red lettering and underlining for highlights. 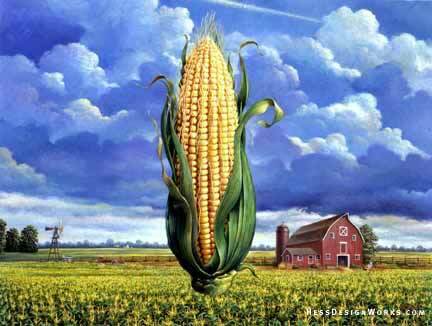 Bt-corn is a type of genetically modified organism, termed GMO. A GMO is a plant or animal that has been genetically modified through the addition of a small amount of genetic material from other organisms through molecular techniques. Currently, the GMOs on the market today have been given genetic traits to provide protection from pests, tolerance to pesticides, or improve its quality. Examples of GMO field crops include Bt-potatoes, Bt-corn, Bt-sweet corn, Roundup Ready soybeans, Roundup Ready Corn, and Liberty Link corn. To transform a plant into a GMO plant, the gene that produces a genetic trait of interest is identified and separated from the rest of the genetic material from a donor organism. Most organisms have thousands of genes, a single gene represents only a tiny fraction of the total genetic makeup of an organism. A donor organism may be a bacterium, fungus or even another plant. In the case of Bt corn, the donor organism is a naturally occurring soil bacterium, Bacillus thuringiensis, and the gene of interest produces a protein that kills Lepidoptera larvae, in particular, European corn borer. This protein is called the Bt delta endotoxin. Growers use Bt corn as an alternative to spraying insecticides for control of European and southwestern corn borer. To kill a susceptible insect, a part of the plant that contains the Bt protein (not all parts of the plant necessarily contain the protein in equal concentrations) must be ingested. Within minutes, the protein binds to the gut wall and the insect stops feeding. Within hours, the gut wall breaks down and normal gut bacteria invade the body cavity. The insect dies of septicaemia as bacteria multiply in the blood. Even among Lepidoptera larvae, species differ in sensitivity to the Bt protein. Do Bt-corn hybrids differ only in that they possess the genetic code to produce the Bt protein? Not exactly. To add a trait to a crop plant, the gene must be inserted along with some additional genetic material. This additional genetic material includes a promoter sequence that, in part, determines how the new trait is expressed in the plant. For example, the promoter may cause to protein to be expressed in certain parts of the plants or only during a particular period of time. There is a marker gene that allows plant breeders to easily determine which plants have been transformed. Herbicide and antibiotic tolerance promoters are commonly used to identify transformed plants. There may also be a plasmid or vector sequence that allows for rapid multiplication of the gene of interest in a bacterial host prior to insertion in the crop plant. Federal food law requires pre-market approval for food additives, whether or not they are the products of biotechnology. FDA treats substances added to food products through recombinant DNA techniques as food additives if they are significantly different in structure, function or amount than substances currently found in food. However, if a new food product developed through biotechnology does not contain substances that are significantly different from those already in the diet, it does not require pre-market approval. Products that are genetically engineered to provide pesticide traits, such as resistance to the corn borer, are also subject to regulation by the Environmental Protection Agency. Currently, genetically modified foods in the United States do not require special labeling to notify consumers. For careful study of the FDA protocols for GMOs, you will find that they ask the developers to consult with them. Does the FDA do it’s own research, or do they use the research that the developers provide? On a personal note: Although I have practiced Medicine for twenty years, I am not licensed or practicing at this time. The information in this article is for educational purposes only. Any correlations between diseases in the human condition and GMOs is a matter of opinion and should not be construed as medical advice. Please do your own investigations and form your own opinions. and just Say No to GMO! Special thanks to Coast to Coast Talk Radio for there fantastic video show on GMO. The talk starts at 40 mins into the show and runs to the end, don’t miss! I believe GMO foods are the main cause of all the health issue we face today. The diseases we see or hear about generates at a faster speed. When you really think about it, we are all feeding ourselves and our family poison foods. We need to wake up! People should know safe food choice to put on the table or GMO products. Label is a must! Thank you so much for your comment and input. You are absolutely right. We need to standup and No to GMO. They don’t know what they are doing and using us to test their experiments on, with out trying to tell us. Vote YES on Prop. 37 and stop this madness please!